I recently returned from a one-week visit to Germany to work on an injury case for a client that lives in the Stuttgart area. My last visit to Germany pre-dates my career as a personal injury attorney. 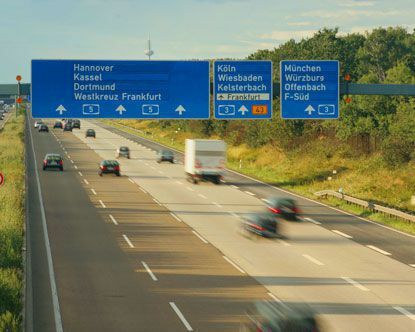 As someone with a great level of professional experience with regard to car accident injury claims, on this trip I couldn’t help but pay special attention to the differences between U.S. and German road rules and accident statistics. One thing that my wife and I instantly noticed is that trucks (delivery trucks, semi truck, tractor trailer, big rigs, 18 wheeler, log trucks) in Germany are restricted to the right lane of the highway, and car traffic can move quickly and safely in the remaining lanes. The only downside to this is that caravans on large trucks in the right lane can easily block the road signs which makes it easy to get lost. It is also interesting to note that Germany has highway speed limits for trucks that are substantially lower than the limits for cars. It is also illegal to pass on the right on German streets and highways (including the Autobahn). Slow moving vehicles must always move to the right, and faster vehicles may pass on the left only. The right lane must be used when it is free, and the left lane is generally intended for passing maneuvers only. Drivers using the left lane when the other lanes are free can be ticketed/fined. Passing on the right is strictly forbidden, except in traffic jams where it may be practiced with caution. Not allowing faster cars to pass your car if the traffic situation allows it is also forbidden. It is unlawful for a driver to stop their vehicle on the road for any reason except in an emergency or situations where stopping is unavoidable, such as being involved in a car accident. 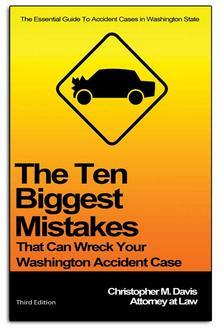 Running out of gas is considered preventable and is punishable by a ticket/fine. By the way, we have many of the same rules or law in the United States, they just aren't enforced. It is rare to see a dented, smoking junk car in Germany. The German government must approve the roadworthiness of all cars and trucks. Without an approval sticker, a vehicle can't be licensed or driven. Cars have been known to fail inspection for having a single rust spot or dent in a critical location, and a broken light or a malfunctioning exhaust system would be obvious reasons for rejection. RELATED CONTENT: Can You Pull Into the Shoulder Lane of Freeway to Make a Call?